Morrison Holiday Bar is one of the most beloved dive bars in the whole Morrison area, without a doubt. 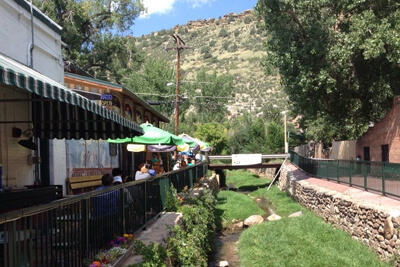 Many people head here for a drink or a burger after work, or before or after a show at Red Rocks. You will love their fantastic customer service, which is always friendly and on point, their selection of local spirits, beers, and wines, and their amazing food menu which features juicy burgers, delicious steaks, and some of the best tater tots you've ever had. They have fantastic live entertainment every single day and they never ask for a cover charge, which is always a great deal! The interior is beautiful and fantastic, but if you're looking to enjoy some outdoors seating, they have a great patio as well as creekside seating. An absolutely fantastic fine dining experienced comfortably nestled in the base of the foothills of the Rocky Mountains, Twin Forks Tavern offers a farm fresh menu that is coupled with delicious flights of wine, elegant specialty cocktails, and some great good old fashioned fun in their spectacular dining setting. They feature a seasonal menu that will always impress, as well as wine classes, food pairings, frequent entertainment, and beyond. There is always a reason to head to Twin Forks Tavern, without a doubt. And before you leave, don't forget to enjoy one of their absolutely delectable desserts. 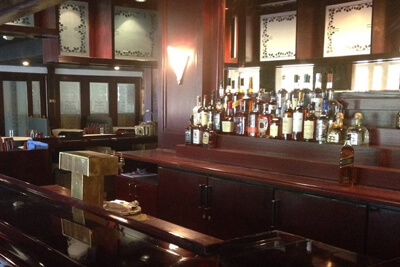 If you're looking for a great fine dining experience in Morrison, you can't go wrong with Twin Forks Tavern! A remarkable Latin Bistro that features a great variety of Latin style dishes such as their most popular dish, the beloved Paella! You will also love their other traditional Latin dishes that you have come to know and love. 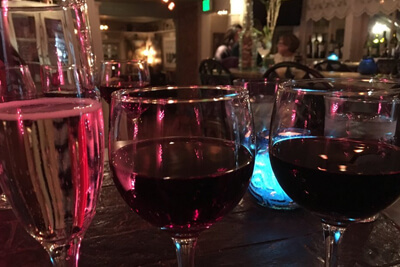 The folks at Beso de Arte pride themselves on their amazing wine list, which features local wines, as well as some amazing wines from Spain and wines from a variety of Latin countries. The ambiance at Beso de Arte is absolutely breathtaking. 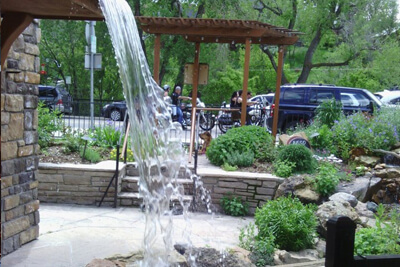 With an outdoor stone patio that features a large, extravagant waterfall and a creek and garden running through it. The service at Beso de Arte is always professional and will always make you feel special. A spectacularly comfortable place to grab a bite to eat and enjoy the culture of the Morrison community, Red Rocks Grill is located directly in the heart of the historical downtown Morrison, and they have an absolutely delicious and wide ranging menu selection, with an eclectic mixture of both Mexican and American dishes that are sure to please any taste buds. From juicy Black Angus beef Burgers to Fajitas that will leave your mouth watering, you will love each and every item on their menu. 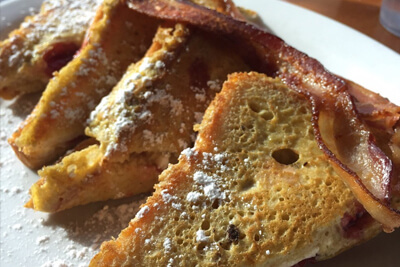 You can't go wrong with their signature dish, either, which is the Monte Cristo sandwich. They are also well known for their amazing weekend morning brunches with great items like skillets, Eggs Benedicts, and of course their famous Lauren's French Toast. Flights Wine & Coffee is an absolutely beautiful establishment that features wine flights, glasses, and bottles from over 100 different wineries, both local and international. If you are a wine lover then Flights Wine & Coffee is certainly a place that you need to head. They also feature a fantastic Tapas style kitchen and some fantastic small plates that will greatly complement your choices of wine. The atmosphere at Flights Wine & Coffee is absolutely unforgettable, with a breathtaking patio, a cozy fireplace, fire pits, comfortable leather seats, and an overall fantastic atmosphere, Flights Wine & Coffee is the perfect place to bring a romantic date. If you're not a fan of wines, they also have some fantastic microbrews and imported beer for you to enjoy. If you've never blown away by a restaurant purely by aesthetic before, then you need to head to The Fort off of Highway 8 in Morrison, Colorado. They are an award winning and nationally acclaimed restaurant that has been considered the most "Colorado" restaurant in all of Colorado. Their menu features a fantastic menu of their specialties which is regional game such as bison, quail, elk, salmon, trout, and beyond. They also are vegetarian friendly, with fare influenced from Mountain Man and American Indian cuisines. They pride themselves on serving more buffalo steaks than any other independently owned restaurant in all of the United States. 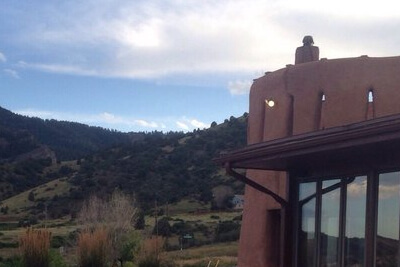 The Fort is a remarkable establishment that is a full scale adobe replica of the historic Bent's Fort. You will absolutely love your experience at The Fort, without a doubt.